Miniso Expanding into Quebec: Value-priced Chinese variety retailer Miniso is launching its Quebec expansion this spring with multiple locations, including a flagship on Montreal’s Sainte-Catherine Street. That store replaces a Footlocker that once occupied space at 475 Sainte Catherine Street West. 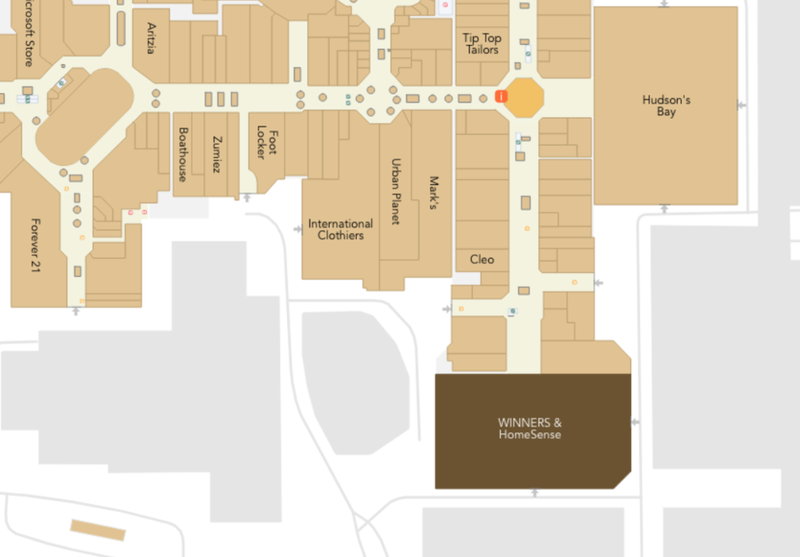 Suburban locations will include malls such as CF Galeries d’Anjou and others. Miniso opened its first Canadian stores in the spring of 2017 in Vancouver, where it continues to expand rapidly. The company says that it plans to open as many as 500 locations in Canada in the coming years. Miniso’s expansion appears to be progressing faster than originally anticipated with some of the country’s top malls signing Miniso as a tenant, including CF Toronto Eaton Centre and West Edmonton Mall which will both see Miniso locations open this year. Miniso’s Ontario expansion began in October of 2017 when it opened at Pickering Town Centre, east of Toronto, and its Alberta expansion commenced in December with a store in the city’s ‘Griesbach’ area. Miniso’s product offerings are also extensive, including home goods, kitchenware, underwear, cosmetics, toys and even electronics. Products are branded by name and are considered to be of exceptional quality for the price. The company was co-founded in 2013 by Japanese designer Miyake Junya and Chinese entrepreneur Ye Guo Fu, and is headquartered in Guangzhou, China. MINSO’s goal is to open 6,000 stores globally by 2020, averaging 80 to 100 store openings per month. Change Lingerie Expands into Hamilton: Danish lingerie and fashion brand Change (formerly ‘Change of Scandinavia') has opened an 850 square foot store at Hamilton's CF Limeridge. It's part of Change's Canadian store expansion over the next several years. The retailer has announced that it plans to open 25 more Canadian stores, and it’s working with brokerage Think Retail. Change launched its Canadian retail operations in 2006 and it now boasts 17 locations in BC, Saskatchewan, Ontario and Quebec. Change Lingerie’s bra sizes are larger than most retailers, so it caters to a different niche than most others -- approximately 75% of Change’s bras are in the DD to M cup size range, with a wide range of fits and styles (most lingerie retailers operating in Canada sell bras in the B-D size range). Change stores offers free bra fitting to ensure that its products meet the needs of its diverse customers, and prices are kept reasonable to attract a broad clientele. Approximately 75% of Change’s revenue comes from underwear and bras, with the remainder from loungewear, swimmer, nightwear and stockings. Change launched in Denmark in 1995, with its first retail store having opened in Copenhagen in 2001. The company now operates about 250 corporate and franchised stores globally. Indochino Officially Measuring Up the New York Yankees: Vancouver-based Indochino, global leader in made-to-measure apparel, is entering into a multi-year sponsorship as the ‘Official Made to Measure Suit’ of the New York Yankees,’ offering tailored experiences to legions of Major League Baseball fans. Tapping into the tens of millions of Yankees fans in the United States and more abroad, the Indochino sponsorship will see company branding appearing, not only in Yankee Stadium signage, but in-store showrooms, Yankees digital and social channels, and in a “Measuring Moments” social media campaign featuring Didi Gregorius, shortstop for the New York Yankees. “The Yankees are among the world’s most iconic sports teams and it is an honour to be joining forces with them to give fans access to a host of custom experiences tailored to America’s pastime,” said Drew Green, CEO of Indochino. This two-year sponsorship is part of a long-term investment Indochino is making in its largest market, which will be further supported by a third Manhattan showroom opening on 51st and Madison Avenue in late spring, joining the Soho and Financial District locations. Surmesur Brings Made-to-Measure with a Twist to Vancouver: Quebec City-based custom menswear retailer Surmesur has opened its latest store in Vancouver’s Yaletown two doors down from Mancave Barber Shop and across from trendy restaurants West Oak and the Keg Steakhouse. Founded in 2010 by brothers Vincent and Frank Thériault, the company manufactures and retails men's made-to-measure clothing which includes custom suits, shirts, blazers, trousers and other garments. It combines body-scanning and manufacturing technologies with traditional methods, boasting a catalogue of over 8,000 fabrics with a wide assortment of collars, buttons, and sleeves. Surmesur currently has 14 retail showrooms in Québec and Ontario, as well as in Pittsburgh and Chicago, including six "shop-in-shops" in smaller markets. By partnering with local businessman Jonathan Richard as owner-operator of the Vancouver store at 1012 Mainland Street, Surmesur sees an opportunity to offer Vancouverites its signature blend of traditional tailoring and technological innovation with a local twist. Surmesur endeavours to keep its costs down to keep prices reasonable and as a result, custom shirts are priced from $65 and suits start at $450. After measurements and fabric/button/design choices are made, suits are ready in four-to-six weeks. New owner-operator, Jonathan Richard is a long-time men’s wear aficionado, event organizer, and former bar manager of the tony Vancouver Club. He believes that positioning Surmesur in Yaletown, a neighbourhood which has a great mix of sophistication and casual style, is perfect for its signature blend of traditional tailoring and technological innovation with a local twist. Competitor Indochino's flagship showroom is located on nearby Mainland Street -- less than a two-minute walk from the new Surmesur. Bäckerhaus Veit Knocks it Out of the Oven for the 2nd Year in a Row: Canada’s Best Managed Companies (BCMC) has announced that artisanal bread company Bäckerhaus Veit will be recognized as a leader in their industry at a gala in Toronto on April 11, 2018. This is the second year in a row that the company has received this distinction. The CBMC welcomes applications from hundreds of entrepreneurial companies each year to compete for this designation in a rigorous and independent process that evaluates the calibre of their management abilities and practices. Bäckerhaus Veit is a female-owned premium, private label artisan bakery, created in 1987 by CEO Sabine Veit, and is backed by over 85 years of European bread making experience and recipes. By fusing Old World craftsmanship with New World technology, the company bakes handcrafted breads, rolls and pretzel products in stone-hearth and rack ovens using nutritious ingredients. In 2015, the company relocated from their 50,000 square foot facility in Woodbridge, Ontario to a new 150,000 square foot facility in Mississauga, Ontario, which was completely renovated to become a purpose-built, state-of-the-art facility integrating tried and true old-world traditions and recipes with high volume production. The 2018 Best Managed program award winners are amongst the best-in-class of Canadian owned and managed companies with revenues over $15 million demonstrating strategy, capability and commitment to achieve sustainable growth. Kinetic Commerce appoints Retail/Ecommerce Veteran Damon Sloane as VP of Retail Innovation & Client Success: Kinetic Commerce recently announced the appointment of Retail/Ecommerce veteran Damon Sloane to the newly created position of Vice President of Retail Innovation & Client Success. Mr. Sloane spent the last four years as the General Manager of Ecommerce and Digital with Michael Kors where he led the strategy and go-to-market launch of their ecommerce and omnichannel initiatives. During his time there, Kors' digital transformation saw the brand named a 'digital genius' by L2 Inc. (one of only two fashion brands to receive that status) and also a finalist in the Canada Post Ecommerce Innovation Awards. Kinetic Commerce is a leading retail design and technology firm with offices in Toronto and New York - specializing in helping enterprise retailers bring the best parts of digital and physical commerce together, creating more meaningful connections with their customers and empowering their associates to deliver superior service. 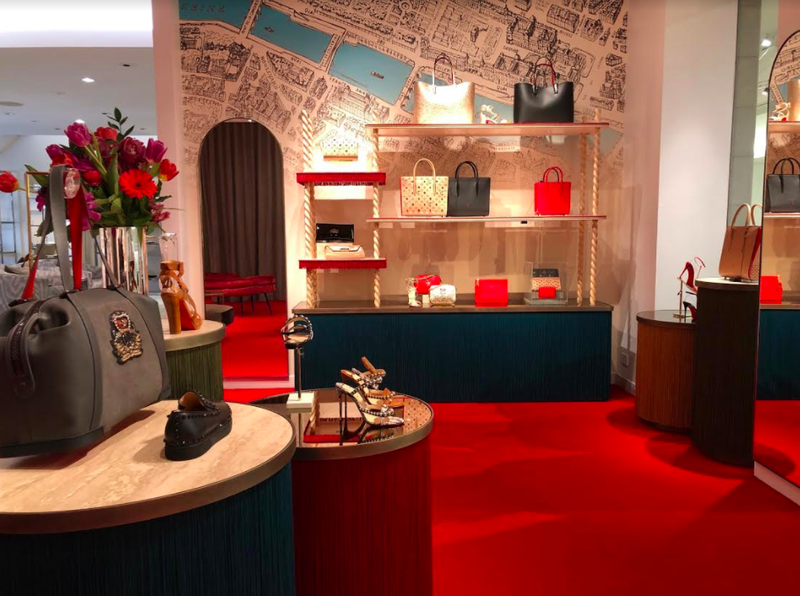 Christian Louboutin Opens Montreal Boutique: French luxury footwear and accessory brand Christian Louboutin has unveiled a boutique at Holt Renfrew in Montreal. Maxime Frechette provided photos that can be viewed in the slideshow above. It's likely to be a temporary move for Louboutin, however -- Holt's store at 1300 Sherbrooke Street West will eventually close when it merges with nearby Ogilvy, though the company hasn't provided exact timelines. The newly combined 'Holt Renfrew Ogilvy' has delayed its opening until the year 2020, according to parent Selfridges Group, which owns both stores. Christian Louboutin opened its Canadian flagship in Toronto at 99 Yorkville Avenue in August of 2016, in a two-level 2,625 square foot space which is currently its only freestanding location in Canada. Louboutin also operates separate concessions for women and men at Holt Renfrew at Toronto's Yorkdale Shopping Centre as well as in Vancouver at CF Pacific Centre. Louboutin also operates a women's concession at Nordstrom in Vancouver. Montblanc Closes in Vancouver Ahead of Hermès Relocation: The only standalone location for luxury brand Montblanc in Vancouver has closed in preparation for the relocation of the city's Hermès operations. Montblanc opened its 1,700 square foot boutique at 717 Burrard Street in early 2013. The store replaced the city's location for luxury brand Ports 1961, which shuttered its three Canadian stores at around that time. The retail space was once connected to the corner retail space that most recently housed Bell, which is currently vacant. At one time, the combined retail space has housed retailers such as luxury brand Furla and in the early 1990's, Versus by Versace opened its first North American outpost in the space that had an address 1008 West Georgia Street. The retail spaces will be combined yet once again, and will also annex adjacent spaces including an upstairs level currently housing Suki's Salon & Spa (which is relocating in the same complex). Hermès CEO Axel Dumas recently informed Retail Insider's Craig Patterson that a Hermès flagship will be moving into the space, with a similar amount of retail space to that of the 6,000+ square foot Toronto store that was unveiled at 100 Bloor Street West in November. 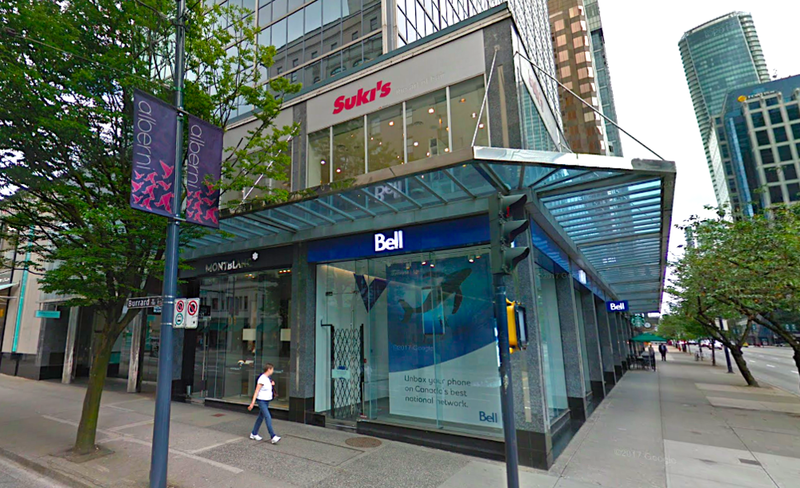 Richemont acquired the strata unit currently occupied by Hermès at 755 Burrard Street, and after Hermès relocates, Richemont will renovate and open a new Cartier flagship, according to the building's management. Montblanc operates six boutiques in Canada. Three are in Toronto (151 Bloor St. W., Yorkdale Shopping Centre, CF Sherway Gardens), two are in Montreal (1289 Boulevard de Maisonneuve W. and CF Carrefour Laval) and in December, Ottawa saw the opening of a Montblanc boutique at CF Rideau Centre. Winners/HomeSense Super-Size at West Edmonton Mall: Winners and HomeSense, Canada’s largest off-price retailers, celebrated the grand opening of their new superstore location in West Edmonton Mall last Tuesday. It's the largest in the entire company. Located on the lower level in a space formerly occupied by Target, the new store offers nearly 61,000-square-feet of designer and brand name merchandise. The store features fashions for the entire family as well as accessories, home accents and giftware. To mark the grand opening of the West Edmonton superstore, Winners/HomeSense presented a $5,000 donation to The Canadian Women’s Foundation and the first 100 people in line received a $10 Gift Card. The Winners/HomeSense brands have become synonymous with off-price shopping. 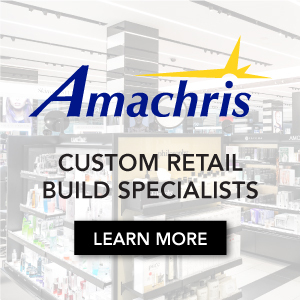 With more than 360 stores nationwide, the chain utilizes its tremendous buying power and strong vendor relationships to deliver high-quality, brand name merchandise at a great value. Over the past several years now, there’s been a rapid expansion of off-price retailers in Canada. TJX Companies Inc., which operates Winners, Marshalls, and HomeSense stores in Canada, plans to continue expanding further into Canada in 2018.